Forged clamps, integrally machined head and an elliptically extruded 7000 series aluminium body make the Thomson Elite seatpost strong, lightweight and super easy to adjust. And, with a 16mm setback option it fits a wide range of different bikes and riders. 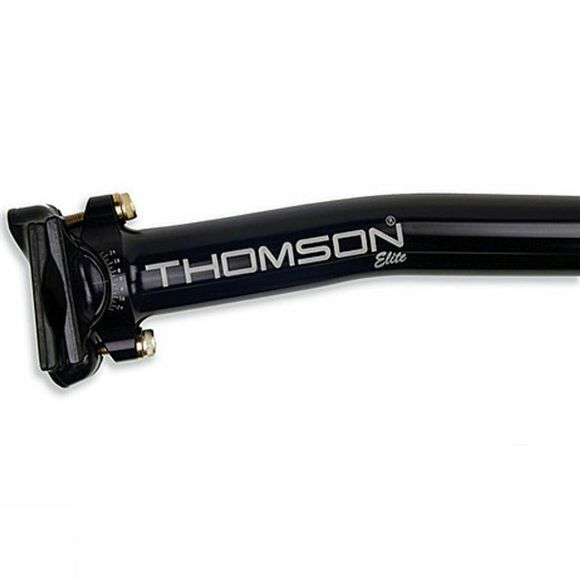 The Thomson seatpost has a clamp head and upper tube strong enough to withstand 350 foot-Ibs of torque. At around 250 foot-Ibs the tube will start to yield and bend at the seat tube clamp, allowing the rider to come to a safe stop or finish a ride even after severe impact.